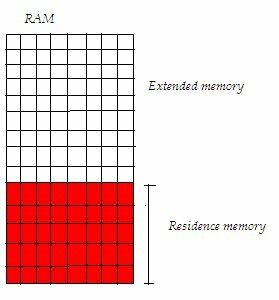 When any program is executed it is stored in the residence memory .For turbo c, it has 1MB residence memory i.e when we open turbo c it store 1MB in the RAM. does it mean that we can use only 1MB memory in our programs? it has any use age at any point?